Captain Chesley B. “Sully” Sullenberger III is being hailed as a hero following his near-textbook emergency water landing of US Airways Flight 1549. Amazingly, no passengers perished or even suffered life-threatening injuries after birds struck the plane and disabled both engines, forcing Sullenberger to “ditch” his plane in the frigid Hudson River. Pilots like Sullenberger, who reportedly remained aboard until all passengers were safely evacuated, have made air travel as safe as it is. But yesterday’s incident, and the recent crash in Denver, reminds us all why airline safety is not something to be ignored. And that means taking responsibility for yourself by paying attention to the flight attendant’s instructions and familiarizing yourself with your plane’s exits and safety features. 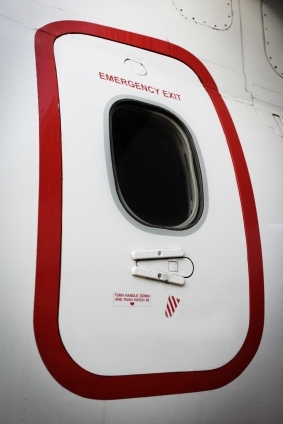 As we saw with the passengers aboard Flight 1549, the most important thing is making a quick and orderly exit. To this end, you can check your plane’s seat map before you leave, and even print one out so you know exactly where the exits are (for example, here’s the seat map for the type of plane that went down yesterday, an Airbus A320). And remember, if you’re assigned an exit row seat, make sure you can open the door and perform whatever other tasks may be required of you. What we can say for now is that this was an incident of the unlikeliest sort, both in cause and result, and the survival of all crew and passengers is truly miraculous. UPDATE: Since some people seem divided on whether or not this is a “miracle,” I thought I’d post this follow-up article from the aforementioned Patrick Smith. A pilot himself, Smith argues that it was simply an act of extreme professionalism with a healthy dose of luck thrown in. For my part, I agree, though I think it’s fair to say the survival of 155 people in an air crash is miraculous (though maybe amazing is more to the point). What do you think?